Security cameras have been used for crime deterrent by police departments since the 1970s. The cameras were first used used to monitor public areas in hopes of deterring criminal activity. Surveillance cameras are used in many businesses as a way to deter crime, as well. Before the early 1970s closed circuit television or CCTV, systems were primarily used to monitor rocket launches and to monitor industrial machinery operations. Typically, the cameras were located in areas deemed too dangerous for humans. A CCTV system is a closed system, which means the data is transferred to a dedicated monitor. The data, unlike broadcast television is not broadcasted to the public. Business owners, since the first installation of surveillance cameras in New York City, have recognized that security camera systems can be used to protect their assets. Properly installed systems help protect a business’s possessions, as well as providing security to their employees. Subsequently, security system installation for retail stores in Coral Springs has been ongoing for decades. For retail storeowners in Coral Springs the typical CCTV system is hardwired for enhanced security. The systems can also stream data directly to a dedicated server on a network using Internet protocol or IP cameras. IP cameras are typically used when there is a need for centralized collection and or monitoring of real time data. Additionally, the number of IP cameras that can be employed is only limited by the server capabilities. 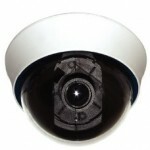 Standard CCTV systems require each camera to have a physical connection to a dedicated receiver whereas, IP cameras stream directly over the Internet. Once connected, the data from an IP camera can be recorded and or stored at a centralized location on the server. Real time monitoring and data collection from IP cameras can be preformed off site anywhere in the world where there is access to the network. Many retail stores that have multiple locations find that IP camera surveillance systems can be managed more efficiently from a centralized location. However, the data from an IP camera can be collected and stored at individual retail stores, as well. Stores simply record surveillance data at their location and store the data on local hard drives. Hardwired systems, unlike wireless systems are not subject to signal interference. The cameras are physically connected to a receiver using a coaxial cable. The cabling must provide power to the camera, as well as, provide a means for the camera to transmit data to the receiver. Certain cable can provide a dual function. This cable is typically referred to as a Siamese cable because of its dual capabilities. The cameras should be mounted high to prevent random tampering. Someone walking by a camera mounted within reach may be more inclined to tamper with the camera. The cable must be shielded from tampering as well, by properly encasing it and routing it underground or routing it high enough to prevent interference. Typically, a security system installation for retail stores in Coral Springs is designed to deter crime, protect employees and help protect the store and employees against civil liability. Surveillance systems are proven effective against shoplifting by consumers and they help prevent inventory shrinkage caused by employee theft. Employees and customers alike may think twice about committing a crime if they know they are being monitored by a surveillance camera. Generally, security systems are advertised by the retail store. The business wants to deter crime and at the same time help law enforcement in capturing criminals that have already committed an act. This is why it is important to have a properly installed security system, to prevent crime and aid in the apprehension of criminals after the fact. When upgrading your system or installing one for the first time there are several things to consider before hiring a qualified installation technician. You must decide on whether or not an IP camera system would better suit your needs or a standard CCTV system with on site receivers and monitoring. A retail store in Coral Springs must have a dedicated and secure monitoring room with limited access. Recorded data from any surveillance camera will come under intense scrutiny in the event the data is used in a criminal prosecution. You as a business owner must be able to prove the data was secured and access to the data was restricted. Whether or not your retail store operates 24 hours a day, your surveillance cameras must. Exterior cameras must be weatherproof and are able to operate in rain, snow, ice, high winds and extreme temperature changes. Cameras must be positioned in parking lots to include employee-parking areas and in other locations on the exterior of the store. The exterior cameras must be able to operate in daylight as well as at night in near total darkness. Security managers and other experts that advise the retail store must be aware of the lux rating of exterior as well as interior cameras. Typically, a store’s interior would be in complete darkness or near so in the event of a power outage. Additionally, the security cameras must have an independent power source, such as back up batteries or a generator. A security system installation for retail stores in Coral Springs should include cameras that record data in the absence of light. Styles of cameras include dome, box and bullet. Dome cameras for the most part appear less intrusive than a box style camera. The dome is usually smoked glass that hides the camera’s lens and the camera feels less intrusive to customers and employees. Dome cameras are usually mounted flush on ceilings to provide the greatest coverage. The camera typically will have pan, tilt and zoom capabilities. All CCTV camera system options can be monitored and operated remotely. Operators with access to the monitoring room can operate the cameras using keyboard commands or by using a joystick controller. IP cameras can be remotely operated by anyone with access to the network regardless of their location. Dome cameras are also ideal for direct surveillance of registers, customer service areas and cash handling rooms. Box cameras are ideal for mounting on the exterior of the building and on light poles in the parking lot. The camera’s appearance is readily identifiable as a camera and tells everyone that the retail store has ongoing surveillance. Bullet cameras can be utilized in every area of the store. The cameras can be found monitoring hallways, doorways and service entrances. Each camera style can come with an array of options. Additional options for security cameras can include two-way audio. This option can be used at retail stores that also have fuel pumps. An operator inside the store can give directions to customers at the pumps and in turn, customers can communicate with the clerk while at the pumps. Cameras that capture audio can also be used to monitor and review employee and customer relations, for example, exchanges between employees and customers at the service counter. Advanced camera options can include infrared or IF capabilities. An IF camera can capture and record images in any area without light. Additionally, advances in technology have brought facial recognition software into the private sector. Possible uses for retail stores can include, identifying lost or kidnapped children and known criminals. Security system installation for retail stores in Coral Springs should only be done by qualified security specialists. The stores security manager along with the security expert must carefully calculate camera positions. Security managers must be well versed in the camera’s capabilities. Cameras that monitor cash registers must be capable of zooming in on specific cash drawers to monitor cash handling procedures. Cameras should also have programming capabilities to lock in and follow movement. This is ideal for monitoring loading docks, cash handling rooms, supply rooms and storage facilities located away from the building such as trailers used for additional storage. The cameras can alert security personnel of movement and then track that movement. Interior cameras can be programmed to monitor specific areas. This allows other cameras to overlap the viewing area of that camera to prevent dead spots. However, security managers must be mindful of recording interiors of dressing rooms and restrooms inadvertently. Cameras can be programmed to blur specific areas to prevent privacy infringement. Cameras should be placed to record the images of people entering the store, as well as, leaving the store. Typically, the only function of this camera would be to record people entering or leaving the store. Security system installation for retail stores in Coral Springs is not just to protect the store from the public. Security cameras are also used to monitor employees. The cameras are typically mounted in stock rooms, dock areas and common areas such as hallways, and time clocks. Most retail stores closely monitor the employee time clock to prevent fraud. There are documented cases where one employee uses the name badge of another to clock that individual in for work without the employee being presence for work. Surveillance cameras can be used to assess employee productivity and help control theft by employees. The cameras must be placed in such a manner so there is not any dead space. Sloppy installation will result in employees learning of the camera’s inefficiency and thus, leaving the store open to theft. Theft is almost impossible to prove without video evidence. Surveillance cameras can also be used to document worker compensation claims, as well as, injury claims by customers. Security cameras can also be used when interviewing employees for raises, firing employees or interview sessions in general. Cameras that can record audio are ideal to prove or disprove claims of inappropriate comments or actions levied against management or other employees. Security system installation for retail stores in Coral Springs should be a top priority. Theft of inventory can make the difference between making a profit and not, in some cases. Customers or employees that realize you have not made security a top priority will take advantage of the situation. Make sure and advertise the fact that the premises are under 24-hour video surveillance. Make sure every employee is aware that the store has surveillance cameras in workstations and other employee areas to include the parking lot. Just the fact that the retail store has a security system is a deterrent. However, the system must be installed by qualified personnel, and upgraded as needed. Otherwise, customers and employees will soon learn of the weaknesses.